If you use the Direct Credit export tool you will already manually create purchase (expense) transactions in your database. 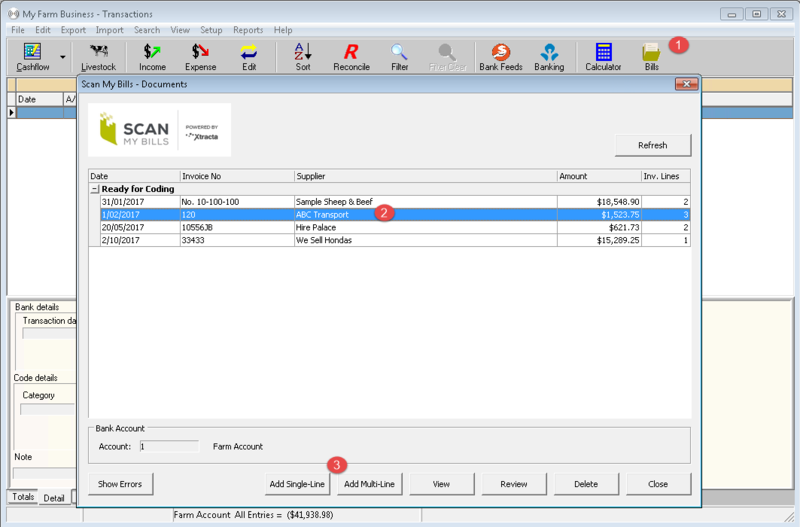 Document information automatically appears in the transaction such as the total amount due (Amount), the invoice number (Reference), the supplier (Other Party) and notes. If you are Invoice basis for GST, the Invoice date on the document automatically appears in the Invoice date field. You will need to code the transaction. Click here to find out how to autocode transactions with Scan my Bills. Enter the Other Party code that corresponds to the supplier. Set the Direct Credit status to Pay. 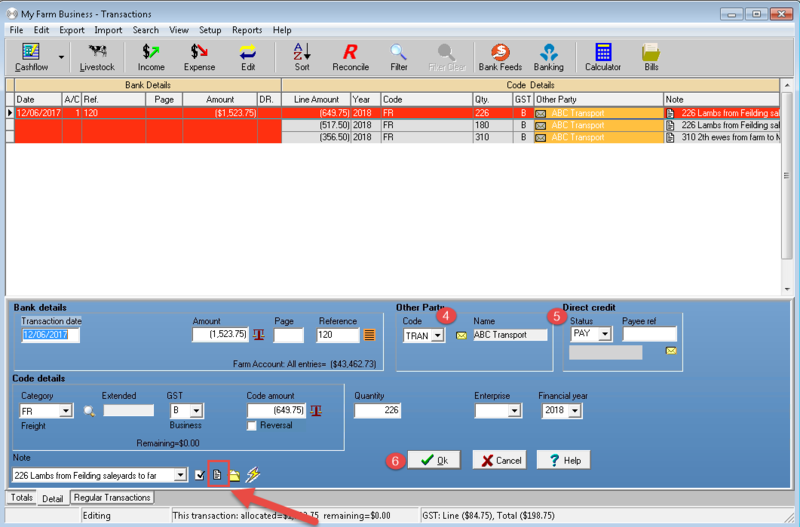 You can view the document at any time by clicking on the notepad symbol at the bottom of the transaction.